Many of the Girl Scout councils have radically revamped their Council’s Own patches, so an updated resource list is here. (Shop here. Instructions for the badges are in the store links under each product). Council’s Own – No online ordering information available. 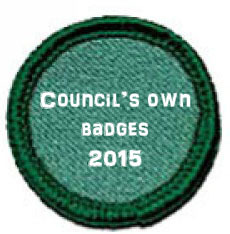 I did not include names of available badges and patches here, as there is no online ordering information available. You can click through these links for available resources. Girl Scouts of Central Illinois – Our Girl Scout troop has done several of the Central Illinois monthly patch programs, and I can’t say enough good things about them or the customer service from that council. GCNWI also has a Discover Indiana one now. GSNETX has a few different ones, including My Flag, My Country and Me. Requirements are online. Eastern Iowa and Western Illinois has several patch programs as well. They are unofficial (worn on the back of vest). This list is awesome! Thanks! I sadly couldn’t get the Central Il to load. Any info on Wisconsin, mainly near Green Bay? I’m out of GSNETX, and have GS nieces in Green Bay, with family in Quincy, Il. I love for us all to do something together!! I love all the historical badges on this site! It’s a great resource. THANKS SO MUCH FOR ALL YOU’VE DONE FOR US ON THIS SITE!!! Ooh, I have a few girls who’d be interested in the theater science badge!